It accused AI of criminal conspiracy in aiding the insurgents to commit what they described as crimes against humanity. The petioners cited various ICC statute to back its claims, stressing that AI has flagrantly and repeatedly violated articles 5 (1) (b), 7 (1) (a), 7 (1) (b) and 7 (1) (f) of the Rome Statute and there warrant this Criminal Complaint which itself constitutes “a reasonable basis to proceed with an investigation” under Article 15 (3) of the Rome Statute. The solicitor said it is pettioning AI in line with paragraph 5 of the Preamble to the Rome Statute of the International Criminal Court which came into force on 1st July, 2002 (simply called the “Rome Statute”) that the most serious crimes of concern to the international community as a whole must not go unpunished. The petioners as represented by Elke Zipperer based their complaint on the belief that Amnesty International has been unjustifiably meddling with the security affairs of Nigeria as a sovereign nation. "Our client is aggrieved that the blatant blackmail and defamation of the Nigerian state by Amnesty International through its damning reports have stopped authorities of the United States of America from selling arms and ammunition to Nigeria for purposes of military protective duties. This goes to prove beyond every iota of doubt that the organization is working for terrorist merchants as it aims at dampening the morale of Nigerian military, thus boosting the enemy. "We submit that prima facie cases of aiding and abetting illicit killings by Boko Haram, blackmail and defamation have been established against Amnesty International vide this Criminal Complaint for which the International Criminal Court can investigate, prosecute and mete out appropriate sanctions" the petitioner stated. "That the ICC Prosecutor obtain International Arrest Warrants for the Accused from the ICC in accordance with Articles 58 (1) (a), 58 (1) (b) (i), 58 (1) (b) (ii) and 58 (1) (b) (iii) and proceed to arrest the Accused so they can face their trial. "That the ICC Prosecutor compels the Accused upon conviction to pay compensation to the Federal Government of Nigeria in the sum of $1,000,000,000 (One Billion US Dollars) as punitive damage for defamation." Nigerian media have hinted of Amnesty International’s alleged bribe of a whooping N200 million to ginger a faction of Nigerian Labour Congress and some Civil Society organizations (CSO) to stage protests in its defence over the infamous and malicious report of alleged state of human rights abuses in Nigeria. The international human rights watchdogs recently released its report for 2016/2017. The AI’s report sparked a gale of protests from patriotic Nigerians recently who adjudged it as not only faulty, but an open display of AI’s perceived self-confirmation of its identity as agent of foreign forces against the destabilization of Nigeria. That Scattered My Relationship... Click HERE For Details. However, AI’s plot was exposed, early in the month, following media reports, which alleged bickering between the Nigerian Labour Congress (NLC) and CSOs over the sharing formula of the AI’s N200 million bounty. The latter accused the former of hoarding and in fact, attempting to divert the largesse; while the former as claimed by the report, insisted the funds were exclusively for the Labour Union. The cornering of the alleged AI largesse infuriated CSOs, which had already kick-started protests in Abuja in compliance with the terms of the assignment. And aggrieved members exposed the deal branding NLC as dubious. This is the extent of moral degeneration among organized groups in Nigeria. It is shocking, but nevertheless, not unexpected because the two groups at the forefront of the disgraceful act of inducement to promote AI’s devilish plans against Nigerians have this record of infamy. 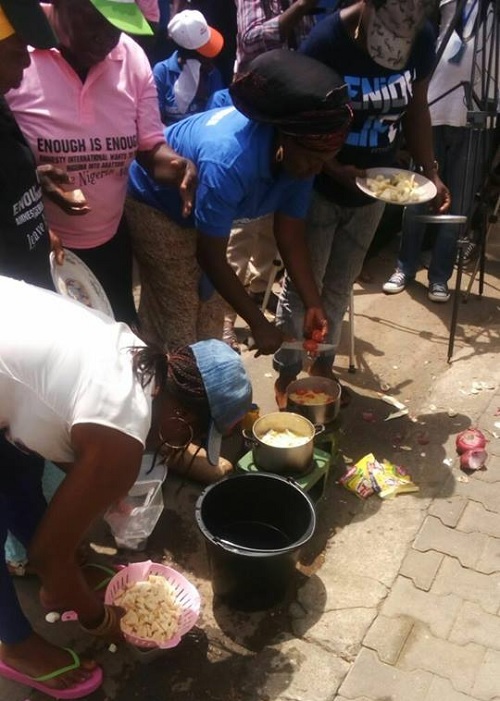 These organizations are peopled by dubious Nigerians who have no scruples. Quite sadly, no Nigerian is unaware of the rot in Labour unionism in Nigeria. It is inevitably heading for a ditch in the Lagoon. What else, when Nigerian workers are now forced to embrace two factions within the same union, which later split into two unions, shattering the once powerful national body called the Nigerian Labour Congress (NLC). Comrade Ayuba Wabba now heads the NLC faction; while another factional leader, Comrade Joe Ajaero has launched his own union, the United Labour Congress (ULC). Therefore, a house in disarray is open to free perforations, even by its enemies. It is the unfortunate fate of Labour unionism in Nigeria. In past months, the media has repeatedly trumpeted the existence of a few internal elements in Nigeria, who have picked the job of agents of external forces bent on the total destruction of Nigeria. It is least expected that Nigerian Labour Congress would conscript itself into the league of these disreputable destructors against the country of their birth. Founding father and patriarch of Labour unionism in Nigeria, Pa Michael Imoudu’s bones are shaking in the grave to hear about the bastardisation of a body he gave his life and soul to the extent its present leaders have defamed and defiled it. After Pa Imoudu, series of serious-minded Labour unionists came on stage, sustained the idea of struggles and battled all forces to retain the dignity and integrity of Labour. The likes of Adams Oshiomhole and other Labour veterans exemplify this struggle and the golden era of NLC. This has been rubbished now. Today’s NLC is the exact opposite of idealism and core values of unionism. They are less concerned about workers' welfare, but very outspoken when it concerns dues and levies of workers. But to degenerate to the extent of allegedly collecting N200 million from AI for a reason as funny as “grants for human rights pursuit,” is to say the least, the height of sabotage and ingratitude to one’s country. What aspects of human rights are within the purview of labour to justify seeking grants from anybody or organization? Spreading such demonic tentacles is Labour’s direct plunge into the lagoon and soon, Nigerians may give them a kick in the back. These leaders must not forget that constitutionally, Nigerians are entitled to freedom of association. It also means that they have the right to denounce their membership of any Labour union anytime they so wish. The case of CSOs is no different. It has been long established that some Civil Society Organizations (CSOs) are legalized fraud centers and the members are potential clients for jail. Most CSOs are an assemblage of dubious men and women who scout for desperadoes like AI to fund them to even promote ideals against the mandate and values they publicly profess. So, the instance of AI’s attempt to repair their battered image in Nigeria by allegedly bribing these two groups to do the unthinkable or perform the absurd is scarcely new to Nigerians. Nonetheless, the truth can never by subverted by the antics of AI. The street and media protests against the international human rights body by Nigerians was genuinely inspired based on the lopsidedness, fakery and malicious packaging of falsehood by AI, which they shamelessly passed as truth. It must be noted that the plot by AI to tarnish the image of Nigeria in the estimation of the international community has reached an explosive level. The concocted human rights report is bad enough. But AI’s sponsorship of gullible groups in Nigeria to protest in defence of this fraudulent report is a clear-cut testimony and affirmation by the organization of its willingness to go the extra mile to persecute Nigeria. It has confirmed the worst fears to all Nigerians that it is an agent of destabilization domiciled in Nigeria; and clearly, AI is taking this joke too far for comfort. It is further proof that the human rights organization has not only been hijacked by local forces in Nigeria, but has mortgage its conscience, thrown decency to the dogs and more prepared to swim against the tide, in the peculiarly of the Nigerian style. Seeking to use Nigerians against Nigerians would certainly backfire and the signs are already manifesting as shadowed in the crisis caused by the sharing of the N200 million largesse between labour and CSOs. To further confirm nakedness, since the exposure of AI’s secret sponsorship of dissension and protests groups in Nigeria, the body has been stunned beyond words. Neither AI's Country Director nor the organization’s spokesperson have deemed it convenient to speak on the matter, hence it is difficult to refute truth. But let AI and their collaborators be assured that the plot is dead on arrival. Henceforth, individuals or groups staging pro-Amnesty International protests anywhere in Nigeria would first intimate Nigerians of how much they have collected from the released N200 million largesse. Such Nigerians should also search their conscience to know whether such amounts can quench any fire AI’s report might ignite or rebuild their country, when the evil alignment with such destructive external forces eventually crushes Nigeria. In truth, AI should be assured that the alleged released N200 million bribe-for-protests is bad investment. It is completely worthless and with the crisis rocking the groups ticked to lead these protests; it means they are willing to gulf more money, with no impact in accordance with any pact they may have reached with AI. Above all, no action can divert the attention of Nigerians from their evil mission in the country. Its good to obey wise counsel. AI has no reason to further spend funds to launder it terribly battered image in the country. Nigerians are asking for a simple favour from AI - they should simply pick their bags, baggages and leave Nigeria. No amount of bribe is enough to justify their evil mission in Nigeria. It is also a plea to Labour veterans like Oshiomhole, Abdulwaheed Omar and the likes to rise up to rescue the sinking ship of Labour unionism in Nigeria. Further delay would make Labour plunge itself irrecoverably in the dangerous Lagoon. The International community should also intervene to caution AI to heed to reason, before the organization ruins Nigeria. Attah is National President, Stand Up 4 Nigeria and contributed this piece from Abuja. Not fewer than 100 Civil Society Groups have signed a petition urging the United Nations (UN) to prevail on Amnesty International to desist from what they described as a plot to destabilize Nigeria. 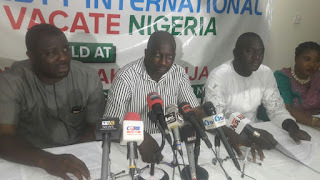 Addressing a press conference in Abuja, Mr. Olayemi Success, Secretary General of Save Africa Group, which is the umbrella body of the Civil Society Organizations, accused Amnesty International of being part of a larger plot to plunge Nigeria into war and eventual break up. He said the UN must intervene before Amnesty International creates another humanitarian crises in. According to him, millions of Nigerians are already displaced as a result of the action of Boko Haram which he said has been emboldened by Amnesty International. Olayemi said the world cannot afford to stand aloof while the international organization continues with its activities. He said several groups, concerned about the destructive deception of Amnesty International, have held widespread protests that occupied the organization's premises with the protesters giving it ultimatum to leave Nigeria. Olayemi said the various CSOs have gathered enough singatures from Nigetians and is set to approach the International Criminal Court of Justice to ensure that Amnesty International and its staff in Nigeria account for their deeds and for every life lost or scarred by their support for terrorism. "We are asking the UN to call Amnesty International to order as the people will no longer tolerate any attempt to bully legitimate protesters who are calling on Amnesty International to vacate the country. The proliferation of Amnesty International into aggregates to look like a legitimate entity within the state of its operation is a hogwash that cannot stand the anger of the citizens. He said the war in Iraq and Syria happened with the active input of Amnesty International. According to him, in both countries as in all cases, the group authors deceptive reports that present state agencies as the problem while defending terrorists that it always give euphemistic names like "rebels", "activists" or "separatists" to lessen the horrific nature of the crimes they commit in the cause of fighting legitimate authorities. He said, "a March 5, 2005, paper issued by the National Intelligence council titled 'Mapping Sub-Saharan Africa’s Future,' which explored the scenario of a disintegrated Nigeria in 2015 has been latched unto by several entities that had fantasized about how they will benefit from a broken Nigeria. "The country, knowing the consequence of such evil projections, worked hard to put its house in order and the postulated year came without the anticipated implosion. It is noteworthy that Amnesty International obsession with supporting terrorists in Nigeria spiked after 2015 ended and Nigeria remained intact. Its rabid support is for groups that have the break-up of Nigeria as their cardinal objective: Boko Haram that wants strict implementation of Sharia in a secular state; Indigenous People of Biafra (IPOB) that are asking for the revival of the moribund Biafra republic that was responsible for a civil war; Niger Delta Avengers that were killing anyone that represents the federal government of Nigeria; Islamic Movement in Nigeria (IMN) fanatics that are no less feral than Boko Haram terrorists." He said further, "The threats posed by these various groups have been largely contained by a military whose professionalism has been acknowledged by the United States' President Donald Trump, who acknowledged the good work being done by the government of President Muhammadu Buhari in degrading terrorism in Nigeria. However, Boko Haram has proven to still require additional military actions and operations to completely restore the north-eastern part of Nigeria back to the peaceful economic hub that it was before the terrorists unfurled their campaign of destruction there. This is however proving difficult because each time the group is to be dealt the final blow Amnesty International publishes reports in which it will claim the human rights of the group are being abused through the deployment of disproportionate force in quelling their insurgency. It has extended the same sick courtesy other terror groups in Nigeria. Observation since 2015 is that these terrorists use the Amnesty International reports as propaganda tool, including for recruitment drive. The Save Humanity Advocacy Centre (SHAC) has written to the Nigerian Immigration Service, calling for the investigation of amnesty international for allegedly harbouring immigrant workers who do not have the required resident and work permit to stay and work in Nigeria. In a letter of petition addressed to the Comptroller General, Nigerian Immigration Service and signed by SHAC executive director, Ibrahim Abubakar, the group specifically alleged that there are two workers in Amnesty International, a Sierra Leonian and an Ethiopian who do not have the required permits to live and work in Nigeria. He said the continuous stay of these duo, along with others poses grave security risk to the country as their intentions may stretch far beyond the cover of protecting human right and therefore urged the CG to investigate and deport these individuals with ulterior motives back to their home countries. Abubakar alleged that the Amnesty International group in Nigeria brings in people of questionable character on the pretense of Human Rights in the country, while in truth; they are spying on the country especially with the ongoing war against terrorism in the country. The letter reads partly, "The activities of Amnesty International in Nigeria are a source of distraction. As a fact, their workforce consists of people of questionable characters, including the Sierra Leonean and the Ethiopian nationals whom their country have declared persona non grata. And the reason for this is not far-fetched. "Mr. CG sir, you also wish to be aware that Amnesty International operates in Nigeria with the two foreigners at the forefront. It was only recently that a Nigerian was announced as the director in a bid to camouflage their mode of operation. "Mr. CG Sir, it is against this background that we plead that you use your good office to verify the resident and work status of the foreigners working in Amnesty International, and if found to have subverted the system, they should also be prosecuted along with their collaborators in Nigeria." According to Abubakar, this call is indeed a Save-our-Soul particularly with the revelation that the bulk of the suicide bombers and terrorist that have continually wrecked havoc in Nigeria are indeed not Nigerians, but people from neighbouring countries. He referred the GG to the Amnesty International 2016 report where it accused the military of extra-judicial killings, saying this report is entirely false and not an accurate representation of the facts on the ground. He said this goes a long way in highlighting how the dubious elements within its ranks have perfected their propaganda plan with the ultimate aim of causing unrest in Nigeria and sending the wrong message to the outside world about Nigeria. He states further, "It is also a known fact that Amnesty International has been using the cover of their supposed transparent organization to bring people of questionable character into Nigeria, all in the name of carrying out research but to sit-in hotels to spy on the country which is against interventional protocol and conventions anywhere in the world," the letter also added. Has Amnesty International found its match in Nigeria in the course of globally implementing a destabilization agenda in non-western countries? It is best that the London based NGO does not wait to find out or attempt to answer the question. Amnesty International, AI for short, has been at the receiving end of a modify version of the trolling it is in the habit of dishing out to governments and entities it had accused of human rights violation in the past. The organization has been at the receiving end of harsh news conferences that chronicled its famed divisive activities. Its offices in Nigeria have become the target of occupation by angry groups that are demanding that it closes shop and leave Nigeria. This will suggest that even while under pressure, Amnesty International and its proxy in Nigeria continue to remain in denial of the negative roles they have played in matters affecting the stability of Nigeria. It also shows an arrogance of foreign occupiers and their privileged lackeys who cannot conceive of human rights groups that would voluntarily act without being induced or tele-guided. The perception they have of the protesting groups speaks volumes of what must have been the driving forces behind its reports and activities that the protesters find vexatious. This attitude and the bundled demands that accompanied it raise a few questions. As delivered by SERAP, wouldn’t the demand for the protestors to be investigated by the appropriate authorities amount to stifling the freedom of expression and the right to freely associate? Probing protestors, assuming they were actually sponsored would amount to intimidation, at least going by templates earlier set by Amnesty International in other instances and other contexts. Where the government complies, how many months or even weeks would pass before this same people covertly sending SOS would turn around to author a report about how the government of Nigeria deployed its agencies to frighten innocent protestors? It might not have been said in clear terms but this agent clearly expected that the security agencies would be deployed to disperse those occupying the offices of Amnesty International, which is a frightening prospect. How do the security agencies dispel the intruders without infringing on their rights? Knowing the vehemence with which these groups have vowed not to leave the occupied premises it would be helpful if AI or its affiliates can suggest ways of ejecting them without brutalizing them since the security operatives would not want to end up before the International Criminal Court, ICC. The groups demanding AI’s exit from Nigeria must however not ride on these bad precedence instituted by the NGO to take matters into their own hands as that is not who Nigerians are. Even as several groups had articulated what they termed worrisome activities of that organization and its Nigeria partners, there is no point for new people to join the ranks of Boko Haram quality of dissention. To the Nigerian government, the demand on behalf of AI cannot be wished away same as the accusations against the group must also be treated as grievous enough not to be discarded . This is especially so in the light of seeming concrete instances of how that organization’s actions have impacted other countries – and in all instances for the worse. On its part, Amnesty International must reassess its position. How much of the claims being made about it are on point? What roles has it played in the instability plaguing several of the troubled countries in the world and what are its intentions in Nigeria? It must reassess its standing not just in the eyes of its Nigerian partners who may not be willing to give it the correct assessment in order not to lose their inflow of foreign currency that would give them financial security. It is on this note that AI should give serious consideration to temporally shuttering its activities in the interest of the safety of its staffers and the protestors. If harm should come the way of its staffers its years of advocacy would not avail the development where those responsible would get the deserving stiff sentences. Where they do get punished it would have further hurt Amnesty International’s credibility as having double standards – one for when it is being the human rights organization and another for when it is on the receiving end. It can also not expect a clampdown on protestors as this would also deal a blow to its credibility and standing. In the period that its activities would remain shuttered in Nigeria, the NGO must reassess its past conducts in Nigeria and other non-western countries with a view to identifying where it went wrong. It would also be a good time for it to fine tune its templates to ensure that when it does returns to operating in Nigeria it would not again experience the infamy of the current animosity it might have created for itself by allegedly threatening the stability of the very country in which it claims it was trying to uphold the observance of human rights. Akoto, a civil rights activist sent in this piece from Iyana Ipaja, Lagos. Pressure from protesters insisting that amnesty international must leave Nigeria seems not to be abating as for the third consecutive day, th protesters have besieged the international human rights organization's Abuja office. 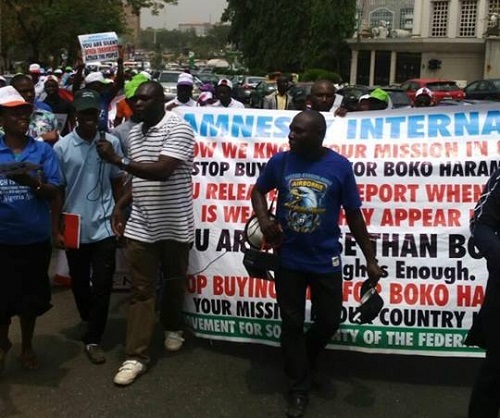 The relentless protesters on Wednesday again stormed the organisation's office, condemning the recent report by amnesty international where it alleged human rights abuse by Nigeria's security agencies. However, Wednesday's protest took a different dimension as the protesters appeared with a confin in front of the amnesty international office bearing the inscription, "RIP Amnesty International." Addressing the protest in front of the amnesty office executive Director of Global Peace and Life Rescue Initiative ( GOPRI), Melvin Ejeh said amnesty has until 12 midnite today to vacate Nigeria, adding that beginning from Thuwrsday, legal actions will be taken against the organisation. He described as laughable recent report by Amnesty International that it doesn't recognize or react to NGOs not registered with it as the height of AI's penchant for trivialities and a fact that the international NGO doesn't believe in what it preaches. Ejeh challenged Amnesty International to disclose its affiliation with Boko Haram for the world to know when and where it registered Boko Haram that the killers have become their partners. According to him, his organization will not be cowed by names calling by Amnesty International or its affiliates in Nigeria who derive pleasure in the killing of Nigerians by Boko Haram but Would continue to hold its sit in until every force fighting the Nigerian people is demolished and demobilized," he added. It would be recalled that some Nigerians had since on Monday besieged the amnesty international office insisting that they will occupy the office until the organisation quits Nigeria. Protesters on Tuesday for the second consecutive day besieged the Abuja office of Amnesty International, insisting on occupying the office until the organisation leaves the country. 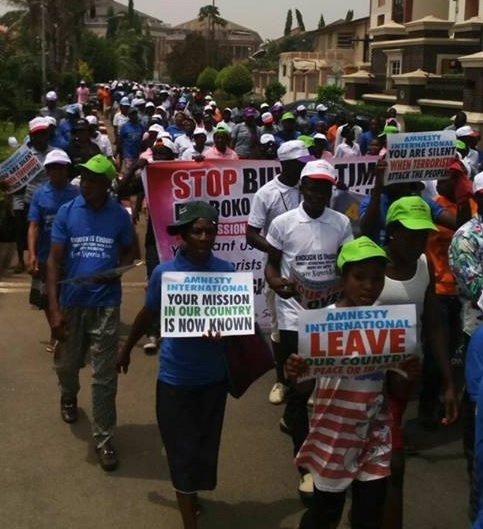 The protesters had on Monday stormed the headquarters of the human rights organization, calling on the federal government to severe all tiers with amnesty international, following what they described as deliberate sabotage of Nigeria's security by AI. It was observed by our reporter that on Tuesday, more protesters in their hundreds joined the protest, swelling up the numbers of those insisting on AI leaving the country. He urged more Nigerians to come out en mass to eject those he described as "enemies of Nigeria", while also urging the federal government to take action. The protesters carried various placards with inscriptions such as "amensty leave our country in peace or in pieces,"amensty international, you freeze when terrorists kill us," "enough is enough" "amensty international, we know your mission"
Ejeh decried what he termed as the continuous attempt by AI to portray Nigeria as a country without respect for human rights. Thousands of protesters on Monday barricaded the Abuja office of Amnesty International, demanding the international organization within the next 24 hours should quit the country. Addressing the protest, Executive Director Global Peace and Rescue Initiative( GOPRI), Comrade Melvin Ejeh said if in the next 24 hours Amnesty International does not shut down its operations in Nigeria and leave the country the group as well as other Nigerians shall begin a Five-Day Occupy Amnesty International Protest as a first warning. He said, "Let us warn at this point that there will be no interval of respite if AI failed to leave Nigeria at the end of the five days as we will activate other more profound options to make them the organization leave Nigeria. We, therefore, use this opportunity to call on Nigerians to join the movement to get this evil out of our land before it plunges us into real war." According to Ejeh, well respected organizations including the National Human Rights Commission (NHRC) and the Global Amnesty Watch have condemned the recent report by amnesty international which alleged human rights abuses by Nigerian security agencies against arrested Boko Haram suspects. He said the deliberate attempt by the amnesty international to indict the security agencies working day and night to restore peace in troubled parts of the country without condemning the heinous crimes committed by Boko Haram terrorists proves that the international organization has ulterior motives. He said, "Previous calls by concerned groups for the government to kick Amnesty International out of Nigeria for the safety of citizens have gone unheeded. Unfortunately, if this organization is allowed to continue carrying out its atrocities here it will destabilize Nigeria. "Unlike our leaders, most of us do not have the resources to relocate our loved ones to other lands if Amnesty International succeeds in ruining this nation. Like the victims of AI's operation in the Middle-East we would be left without a country and we would not be welcomed in other nations. We will become mere footnotes in its next annual report since it stops showing interest in places it has successfully destroyed." Speaking further, he said recent revelation by Haaretz, an Israeli newspaper, has indicated that Israel used Amnesty International as a front for its foreign ministry. Quoting the report, ha said "according to Haaretz, quote: 'The documents reveal how some heads of Amnesty International Israel were allegedly in regular contact with the Foreign Ministry from the late 1960s to the mid -1970s, reporting on their activity in real time, consulting with officials and taking instructions from them. He said though the Nigerian authorities might not be unaware of the evil machinations of this organization but may have opted to treat it with diplomatic considerations. He said however, "This in our consideration is not the right approach to dealing with this demonic entity. Its evil contaminates any country it chooses to work against. It's destructive touch leave countries in failed state." A human rights advocacy group, Save Humanity Advocacy Centre has urged the federal government to expel Amnesty International from Nigeria over what it termed as the repeated attempts by the international organization to undermine Nigeria's security architecture to the advantage of terrorists that have been tormenting the country. The group also issued Amnesty International a seven-day ultimatum to immediately leave Nigeria, saying Nigerians have had enough of their "absurdity and evil machinations"
Addressing a press conference in Abuja on Sunday, Executive Secretary of the group, Comrade Ibrahim Abubakar said failure for amnesty to leave the country after the seven days, Nigerians will be forced to hit the street in a protest to compel the government to expel the international organization from Nigeria. Abubakar said Nigerians can no longer tolerate these deliberate acts of sabotage and indirect compromise of national security by the human rights organization. He said, "To this end, we are opening a register of protests in our office to collect the signatures of Nigerians, who are resentful to the destructive activities of Amnesty International as well as their dubious reports of hate and espionage on Nigerian soil. And failure of Amnesty International to respond to this plea as stipulated, they would incur the wrath of Nigerians, who would have no option than to occupy their offices in the country, until government compels Amnesty International to leave the country." According to Abubakar those who pose obstacles which hinder Nigeria's success must not be tolerated, saying matters like insecurity are matters accorded national priority and handled with all seriousness and priority. He said the latest report of Amnesty International which alleged human rights violations against the Nigerian military and other arms of security agencies in combating acts of terrorism, separatism and extremism in the country is another indication of the organization's continued quest to undermine Nigeria's security. He described the report as lopsided, biased, partial and concocted with a pre-determined motive to rubbish the good works and the sacrifices of security institutions in Nigeria. He said, "we are worried and indeed, sad to notice that each time peace and normalcy is returning to these troubled parts of the country, Amnesty International, an international human rights body mindlessly punctures the essence of this peace by cooking up baseless reports that maliciously indict and disparage efforts of the Nigerian security architecture, by alleging unsubstantiated human rights violations. "We have noticed that each time Amnesty International wail for criminal gangs or terrorists in released reports, Boko Haram terrorists intensify their crude and barbaric attacks, including slitting the throats of captives with knives, gain momentum and the tempo of violent insurrections also heightens in the country. "Even in the last edition of their report, Boko Haram terrorists struck in Borno a day after it was released, a confirmation that Amnesty International must have been working in consonance with terrorists." He said despite the widely circulated videos of Boko Haram atrocities in Nigeria, Amnesty International has not condemned it. There is a great task ahead of Amnesty International, which describes itself as a non governmental organization that investigates and exposes the facts, whenever and wherever abuses happen. For a group that grew from seeking the release of political prisoners to upholding the whole spectrum of human rights, the greatest task now is holding itself up to the same standard it has claimed to be imposing on the world. Since the bulk of its work is about fighting against rights abuses, Amnesty International should by now realize that it has crossed the threshold of neutrality and has itself become an aggressor in a world where the lines have become blurred wether in the many needless conflicts and wars or the everyday matters of governance. It is therefore losing the moral high ground more rapidly than it climbed into prominence for being the last bastion between the oppressed of the earth and the oppressors. In the last decade, as this organization strives to keep pace with evolution across a wide range of human endeavor – like technology that allowed it to interview victims in remote or risky areas, its modus operandi has mutated to the extent that they are today desperately in need of change. Amnesty International therefore need to first locate a reset button and then marshal the needed courage to press it so that it could again be on the path to being a darling organization that the world looks up to as the moral compass. For a start, it would have to review it staffing. It has to face the reality that its ranks has been overwhelmed by fanatical luvvies who have superimposed their own version of post traumatic stress disorders on the operations of their employers. What this has done is that report after report churned out, because they are dictated by these resident extremists, turn out to be balderdash that the countries and authorities at the receiving end easily pick holes in them. Today, Nigeria is among the countries where this trend is playing out. Those it has recruited to work for it in Nigeria are misleading the world and putting Amnesty International in a bad light – except of course it wants to say they are acting to brief. A strong indication of this contamination is the aggressive media marketing the staff engaged in to justify the outrage caused by the recently released 2016 State of the World’s Human Rights Report. Here was an organization whose annual report use to provoke wide sweeping reforms by governments but today has been reduced to having to mount paid media campaign to argue its so called findings. Assuming Amnesty International's staff are not compromised but are rather victims of people's overactive imagination, the situation has not been helped by it being in bed with governments of powerful nations that are known to be repressive abroad. These countries may tout compliance with human rights at home yet they daily commit war crimes in places they have no genuine business playing global cowboy. The one individual known to have ordered the highest number of drone kills in human history, including the murder of school children and wedding party guests won a Nobel Laureate right under Amnesty International's nose and it was still brave enough to come to Nigeria to criminalize a legitimate push to rid the country of terrorists. This perhaps explains the righteous anger that erupted in the wake of its report as people deduced that there must be something dirty afoot for an Army that has done much to crush Boko Haram's murderous insurgency to be vilified and presented as the evil while the international terrorist organization simply got the equivalent of a tap on the wrist. To worsen everything, Amnesty International's staff or those that put together the report practically rallied for the terrorists – asking the military to take on Boko Haram fighters using a template that is as ridiculous as it is impracticable. Since the release of the report, which practically pitched it against the larger population of Nigerians going by views expressed on national television, newspapers, radio and the social media, it is obvious that Amnesty International has allowed itself to be used and exploited by some dollar-hungry Nigerians that fed it with cooked up inputs just to get some notes of the greenback for their daily living. The situation led to people digging up facts to a point where they came across the several other questionable activities of the NGO. Here is an institution that operate under the claim of neutrality yet the least of the missteps it has been accused of sound like an extreme case of conspiracy theory. The only problem is that the host of the accusations against AI in other countries are stuff that will stick – it is a contractor whose sole brief is to worsen crisis situation by putting armies and their commanders in tight corners to prevent them from fighting to save their countries. It was further stated that this is the intention for Nigeria. The resulting demand for apology by concerned Nigerians is therefore not misplaced. Nigeria is bigger than this NGO irrespective of the big names keeping it in place. Apologizing to the country of over 180 million persons for attempting to denigrate its highly revered institutions and authority will not reduce Amnesty International's standing in the eyes of the public but will rather prove to the world, especially the countries AI has robbed of peace that there is still some iota of honor and prospect of redemption for the organization. In showing remorse its anti-Nigeria actions, Amnesty International should not omit to commend the Nigerian Army and sister agencies for not taking the laws into their hands contrary to falsehood its staff made it dish out in its report. In some other barbaric situations like they have described, citizens would have gone to force them out of the country, but people are still aware that the Nigerian police would not stand by idle to allow mass action against even this foreign aggressor to show the extent of their anger. We have a culture, a proud background and customs that are still better refined than some of the laws that AI and their minions want us to promote over and above our tradition as a people. This is what Amnesty International must recognize and apologize. Whether Amnesty International seeks redemption by apologizing or not, the Nigerian Army must condition itself not to be deterred. It should look to further strengthening the Human Rights Desk it has created. It should show more example as it did in sanctioning the two military police that beat up a disabled man for wearing camouflage and another soldier that was jailed for assaulting a lady. The human rights record it has begun to set for itself in the performance of its duty could soon become a benchmark for other countries if it put in more efforts at growing the desk. The mass outcry that greeted the 2016 Report should convince officers and men of the Nigerian military that there is honor in living for one's country. Nigerians have demonstrated that their voice could be more than any weapon of mass destruction. By coming out openly and en mass to rally round the military and other segments of the security architecture, Nigerians have proven that President Muhammadu Buhari awakened a Nigeria that citizens are increasingly becoming proud of. So as Amnesty International continues to lobby governments, and other powerful groups to make sure they respect international law, it should also remove the log in its own eyes by respecting that aspect of the law that bestows sovereignty to nations. It has violated that aspect of the international law long enough where Nigeria is concerned and an apology is overdue. Babatunde writes from 199 Watford Way, London, United Kingdom. (NW4 4SL). A South East group, the South-East Restoration Group has disowned reports by amnesty international alleging extra judicial killings in the south east by security agents, saying contrary to such claims, the presence of the army has instead rid the region of criminal activities such as kidnapping and armed robbery. Addressing journalists in Enugu, SERG National Co-rdinator, Charles Mbani said the group took time to review the claims made in the amnesty international report and decided to clarify some of the misconceptions contained in it. He described as a misconception the idea that the IPOB represents genuine voice of the Igbo people, adding that persons of Igbo ethnicity that are not involved in breaking laws go about their legitimate businesses without hindrance from any agency let alone the Army. According to him, "the IPOB is just one of the many entities that have emerged to make monetary gains from the agitation for restructuring, with members that in violation for the deep seated Igbo respect for the sanctity of life, have been involved in killing people that they buried in secret mass graves. They have been involved in killing security operatives and throwing some into the river in the name of holding protests. 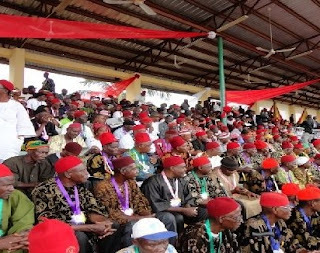 He said, "the industrious Igbo sons and daughters can recount how much money they have lost to act of vandalism by this group that Amnesty International is trying to make a case for. Its members imposed forced closure of businesses whenever they hold protests. Those that have made the mistake of defying the forced closures have learnt the hard way not to attempt it again as hoodlums belonging to the group ransacked and looted shops that open for business while they are holding protests. "This forced participation in insurrectionist activities speaks volume of the violation of the rights to choice, association, expression and doing business in south-east Nigeria under the dictatorship of IPOB thugs. They snuff life out of anyone that disagree with them and the kidnap for ransom gangs in the region do not operate without the knowledge of the group. The situation got so bad that Igbo sons and daughters dread visiting home during festive holidays. "It took the intervention of the Nigerian Army, with the launch of its Operation Python Dance late 2016, for us to have respite from criminals. Amnesty International may wish to note that when that operation was launched there was outcry that it was targeted at IPOB. Possibly true to the fear expressed, the operation completely curbed incidents of kidnap for ransom and violent robberies that usually spiked towards Yuletide. From records, Operation Python Dance is responsible for the crime free 2016 Christmas that people in the south east enjoyed for the first time and across the region." Mbani said if Amnesty International is keen about singling out the Igbo race for intervention and support, it should wade into the situation in South Africa where government backed xenophobes are killing and maiming the Nigerians, predominantly Igbo, and destroying their businesses. He also said people of the south east feel insulted that Amnesty International can lump the agitation for fiscal federalism by Igbo ethnic nationals in the same sections with terrorists entities like Boko Haram and IMN in their report. He said, "Our interpretation is that it has by that report declared persons of Igbo ancestry as terrorists. It is a foray into a political minefield that the organization is not equipped to cope with. We strongly expect that Amnesty International will in the coming hours apologize for this slight on the hardworking and peace loving Igbo people of Nigeria." He said equally obnoxious is the insinuation that IPOB represent genuine voice of the Igbo. He said for the avoidance of doubt, when IPOB does compile names of those allegedly killed or disappeared they always turn out to be phony names that are not linked to known family members in spite of the Igbo close knit extended family system. He said, "There have been instances when members of the group circulated old pictures that were photoshopped to corroborate false claims. In more extreme cases they circulated gory pictures from other parts of Nigeria or countries entirely to justify claims they were being killed by the military. In line with its usual practice, international human rights non-governmental organisation, Amnesty International on February 22, 2017 issued its World’s Human Rights Report for 2016. The document detailed analysis of the states of human rights in the 159 countries “reviewed” by the NGO. In the wake of the report, Nigerian authorities have vehemently rejected the negative perception it created about the state of human rights about the country. It is therefore imperative that an objective assessment is made of the sections pertaining to Nigeria in the report in the light of the conflicting claims by Amnesty International (AI) and the Nigerian side in the wake of its release. 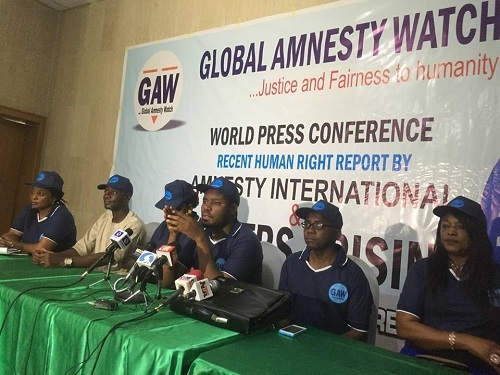 Global Amnesty Watch (GAW), in its commitment to ensure that international actors are not deployed for the aim of undermining the stability of countries has carried out an assessment of the report in this regard because Nigeria has given the most vociferous rejection of the report among the countries reviewed. The impression the AI report is giving is that the Nigerian Military is solely responsible for the crisis in the Northeast. While this is understandable given that the content of the report was largely arrived at by words of mouth and hearsays, it in every sense of it lacks credibility. The allegation that the military carried out arbitrary arrests, detentions and extrajudicial executions of people suspected of being Boko Haram fighters cannot be substantiated. AI might want to add where such arrests took place, exact location and time. It is important because the military under the current dispensation has exhibited a zero tolerance for abuse of the rights and privileges of its citizens. And this has been demonstrated in instances where soldiers or officers were either demoted or faced court martial for acts inimical to the image of the military. Also, the Nigerian military has always been open in its operations and do not hide its activities from the probing eye of the public, especially in the era of social media and citizen reporting. There is no way such infractions would have been carried out without an element published in any of the social media platforms. And again, one wonders where and how AI got its information, without cross-checking facts with the relevant authorities in the affected states and the military high command. 3. “In May, 737 men detained as Boko Haram suspects by the army were transferred to the prison in Maiduguri, the capital of Borno state. They were charged for being “incorrigible vagabonds,” which carried up to two years’ imprisonment and a fine.” While it is understandable that AI has continued its campaign of tarnishing the image of the Nigerian military as customary, one might want to ask how it arrived at such outlandish figure. The enormity of the wreck and havoc caused by the Boko Haram insurgents in the past six years cannot be overemphasized. It is, however, important to state that the military would not keep in detention such number people without tangible evidence. More so, the Nigerian military is a professional one, and not a ragtag army as the AI is making the world believe. If the military were to be ragtag one and going by the allegations by AI, I am sure the 737 would have been eliminated. It is clearly a case of exaggeration. 4. More different the report of AI is when it stated that the military launched Operation Safe Corridor to rehabilitate repentant and surrendered Boko Haram fighters” this part of the story negate the allegation of extrajudicial killings. What is the point killing when you can rehabilitate? Again, this allegation cannot be substantiated. The Civilian Joint Task Force (CJTF) is not an armed militia group. They are local hunters who have volunteered to assist the military in the fight against Boko Haram insurgents. On IDP’s not allowed to leave the camps, it is important to state that these people are Internally Displaced People (IDP) that sought refuge in camps. And leaving the camps in the first place does not arise not until the military fully flushes out Boko Haram insurgents that took control of their various homes. The government of Borno state is also working round the clock to ensure that these IDPs return to their various homes, but not without safety precautions and the provision of necessary amenities to make life more meaningful. The allegation of inadequate food and supplies is a half truth. The federal government has been making efforts to meet the needs of the IDP in the various camps. The Borno state government is also not left out, likewisw some other philanthropic organizations like the Dangote Foundation, which donated food items worth N1.5 billion to the IDPs in 2016, and many others too numerous to mention. 6. “The military arbitrarily arrested thousands of young men, women, and children who fled to the safety of recaptured towns, including Banki and Bama, Borno state. These arrests were mainly based on random profiling of men, especially young men, rather than on reasonable suspicion of having committed a recognizable criminal offense. In most cases, the arrests were made without adequate investigation.” This allegation is also baseless. For a start, the report stated that the military arrested thousands of young men, women, and children who fled to the safety of recaptured towns, including Banki and Bama in Borno state. The curiosity in this allegation is where did these young men, women and children flee from? How did they know that the towns of Banki and Bama have been recaptured? And were there designated IDP camps in Banki and Bama? It is important to state that the Amnesty International is not a security outfit and therefore its knowledge of security issues is limited. It would, therefore, be sufficient to say that most of its reports are widely dependent on hearsays and speculations; but largely without verifiable facts. The Nigerian military won’t make arrests based on random sampling because it’s a highly organized entity with chains of commands. The Nigerian military does not carry out arbitrary detentions. And this is a statement of fact. This allegation cannot be substantiated. It remains a speculation that Amnesty International choose to believe. In the case of Major General Ahmadu Mohammed, the Nigerian Army asked for evidence to prove that he indeed committed the crimes. But till date, Amnesty International could not because its reports are mostly based on hearsays. The Nigerian Army did release a statement signed by then Acting Director, Army Public Relations, Col Sani Usman. The report said. “The attention of the Nigerian Army has been drawn to media reports that the human rights group-Amnesty International, has frowned at the reinstatement of Major General Ahmadu Mohammed into military service, alleging that he was involved in human rights abuses while he was the General Officer Commanding 7 Division. The Nigerian Army wishes to thank the exalted body for this observation. “Although, it is not an aberration for the international human rights organization to raise such an observation, however, it did not take into cognizance of the circumstances leading to his illegal retirement and the legal procedure that was followed in his reinstatement. This is farther than the truth. The military doesn’t perform policing function. Policing is not the statutory role of the Nigerian military, but instead the Nigerian police force. The military is in some instances called in emergency and often violent demonstrations. 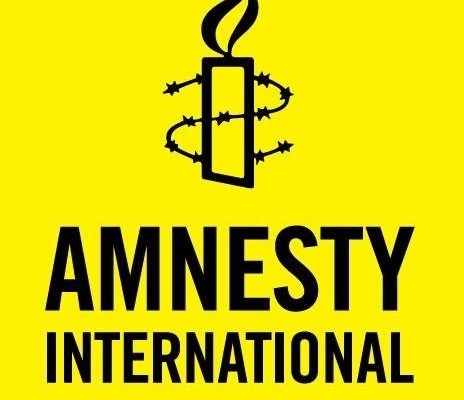 The allegation by AI that the deployment of military personnel to public gatherings contributed to extrajudicial executions and unlawful killings is another false representation of the Nigerian military by Amnesty International. The army as a professional outfit understands the rules of engagement and as such its public conduct is guided by these provisions. So, therefore, to assume that the military would be deployed to non-violent protest is defective. And also to assume that its participation in violent protest as in the case of pro-Biafran agitators is also in bad taste and deliberate attempt to discredit the Nigerian military. 10. “On 9 February, soldiers and police officers shot at about 200 IPOB members who had gathered for a prayer meeting at the National High School in Aba, in Abia state. Video footage showed soldiers shooting at peaceful and unarmed IPOB members; at least 17 people were killed and scores injured.” Nigeria is not a banana republic where the security agencies would open fire on peaceful and unarmed IPOB member gathered for a prayer meeting at the National High School, Aba. This cannot happen in the present dispensation, and not under the watchful eyes of the Nigerian public. It is glaring that Amnesty International didn’t bother to get confirmation from its sources before the allegations. 11. “On 29 and 30 May, at least 60 people were killed in a joint security operation carried out by the army, police, Department of State Security (DSS) and Navy. Pro-Biafra campaigners had gathered to celebrate Biafra Remembrance Day in Onitsha. No investigation into these killings had been initiated by the end of the year.” This is another baseless allegation from the Amnesty International. And the best description of this claim is a deliberate campaign of calumny against the Nigerian military. What Amnesty International failed to highlight is the fact that the pro-Biafra campaigners killed two policemen who were deployed to monitor the protest and threw two others into the River Niger in Asaba. They also failed to state that a soldier was also killed by the protesters who were clearly on a mission to cause havoc. It was on the strength of these violent behaviours that the military was called in to restore sanity. GAW will not draw any conclusion at this point but leaves Nigerians and the world to decide who lied and who was truthful.